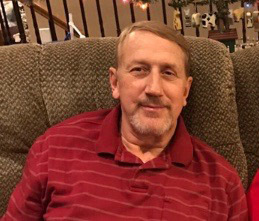 Win Zimmerman, 66, passed away peacefully at his home, Saturday April 7, 2018 after a valiant battle with prostate cancer. He was surrounded by family. Win was born October 21, 1951 in Marl Essen, Germany the son of Josef and Kate Schulz Zimmerman. The family immigrated to the US when he was two. He became a US Citizen when he was 14. Win graduated from Granite High School, served in the Army Reserves, and was a member of the Church of Jesus Christ of Latter-day Saints. Win married Cheryl Zimmerman and had one son. They divorced. He married the love of his life Maren Johnson and was married for 39 years. They have 3 beautiful daughters who he always called, “His Sweeties”. He took pride in his house and yard. He loved boating, camping, fishing, golfing, but most of all he loved his family and taught us unconditional love. Surviving are his wife Maren, son Richard (Stephanie) Zimmerman, daughters, Tarasha (Shane) Haslam, Brianna (Adam) VanSleeuwen, Demarie (David) Wennergren, brother, George (Valerie) Zimmerman, sister, Shirley (Roger) Dennison, brother-in-law, Marvin (Janice) Johnson, sister-in-law, Marili (Douglas) Potts, 13 grandchildren and several nieces and nephews. Funeral services will be held Saturday, April 14, 2018 at 11 a.m. at the Deseret Mills Stake Center, 270 W. Burton Lane, Kaysville. Friends and family may visit Friday from 6 to 7:30 p.m. at Lindquist’s Kaysville Mortuary, 400 North Main and Saturday from 9:30 to 10:30 a.m. at the church. Interment, Lakeview Memorial Estates Cemetery, Bountiful.